Swim Guide Welcomes Cork Harbour Waterkeeper and Ireland! 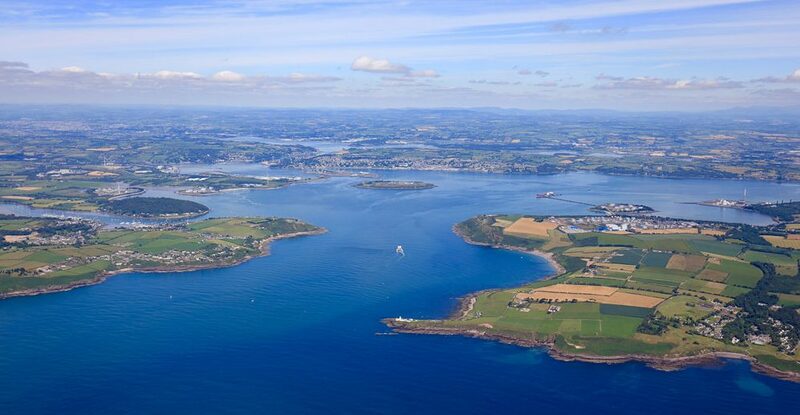 We are absolutely thrilled to be announcing the newest affiliate: Cork Harbour Waterkeeper in Cork, Ireland! Started by Noel Sheehan and Christine O’Neill, Cork Harbour is the first Swim Guide affiliate on the other side of the pond, bringing not only a new country to Swim Guide, but an entire continent. We couldn’t be more excited to welcome Cork Harbour Waterkeeper, the country of Ireland, and the European continent to Swim Guide. Christine O’Neill and Noel Sheehan have combined a passion for environmental stewardship, protection, and advocacy to create Cork Harbour Waterkeeper, which stemmed from changes they have witnessed over the past decade to the harbour. 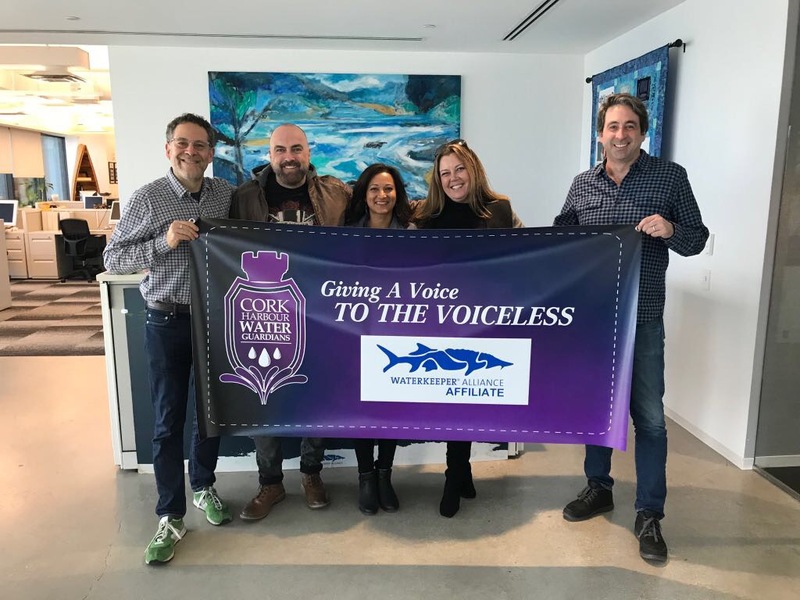 Their goal is to address the gap in citizen driven advocacy for clean water and help provide a voice for all those affected by water pollution and environmental degradation. They strive to provide a platform for people to discuss issues, report pollution, and hold polluters accountable. This cause is very personal for Sheehan (pictured above second from the left) who saw the effects of local water pollution first hand when his two sons were hospitalized for nearly two weeks after contracting a rotavirus from swimming near the Harbour. “It’s terrifying for any parent or child to have to experience that,” said Sheehan. Originally launched as Cork Harbour Water Guardians the group became the first member of the Waterkeeper Alliance in Ireland in April of 2018. By joining the Alliance they’ve tapped into a global network of water quality organizations. This move was inspired by Christine (pictured above second from the right), who worked as the executive assistant to Waterkeeper Alliance President Robert F. Kennedy for several years. After developing a passion for the cause, she decided it was her goal to expand the Alliance into her home country of Ireland. Partnering with her longtime friend Noel, the two have started a movement in Ireland to protect their local waters and work towards a swimmable, drinkable, fishable future. Located on Ireland’s south coast, Cork Harbour claims the title of the world's second largest natural harbour by navigational area. While this is disputed by other harbours, namely Halifax in Canada and Poole in the UK, there is no disputing the important role Cork Harbour has played for Ireland as a commercial, defensive, recreational, and fishing hub over the course of the past century. Recreationally, cold water temperatures and water quality prevent many from swimming in the Cork Harbour. That being said, there are still many recreational water options available in the Harbour. Cork area is well known for incredible sea kayaking, stand up paddle boarding, windsurfing, and sailing. Due to the heavy industries dominating the area for decades, and insufficient measures to prevent pollution, Cork Harbour’s health has experienced a steady decline over this time. Cork Harbour Waterkeeper aims to rewrite this by advocating and working towards a swimmable, drinkable, fishable Cork Harbour.